They’re libraries, as in churches of books. They’re free. No obligation to buy coffee. They’re MUCH quieter than Starbucks. For weekend writing, libraries are the best. Most are open on Saturdays, and some even have Sunday hours. Which brings me to this week’s library-hopping adventure: Newport Beach Central Library. Newport Beach Central Library is huge, a whopping 71,000 sq. ft.–so big I had to use the panorama feature on my camera to photograph the building facade. And again with the palm trees. Are there any libraries in my county without palm trees? Hmm, that’s a question for the next library-hopping adventure. This library is open on Sundays. Because I keep the latest versions of my works in progress on Google Docs, I appreciate that Newport Beach Central Library offers a generous five hours of free internet access–with a library card. So, of course, I signed up for a library card. 🙂 In fact, I want to collect a whole DECK of library cards, one for each of the 33 cities in my county, plus the county library system (which I already have). So far, at three different cities, I’ve been able to sign up for a library card even though I don’t reside in the actual city. Newport Beach Central Library is super quiet. I got in an hour of uninterrupted writing, and it was very peaceful. Newport Beach Central Library has tons and tons and tons of seating. . . none of it the least bit inviting. And I wished I had a cushion for the hard wooden chair. Not that I should be staring out windows while writing, but it’s worth noting that the view–which you’d think would be amazing since this library is located in a beach town–was not very good, just street traffic and overly landscaped parking lots. At the top of the stairs is a large open area with a credit union and a bistro, which totally had the feel of a mall. Call me old-fashioned, but I like my libraries mall-less. You must decide how to start. If you’re a natural-born plotter and/or smart enough to learn how, you plot your story in great detail before beginning to write the actual book. On the other hand, if you’re a pantser, your book-writing journey will be much longer. If, like me, the only way you can come up with story ideas is by letting them flow organically while writing, so be it. write a lot of pages just to get an understanding of the story and characters. Read through all that pre-writing, take notes, plot everything in a way that makes sense. Then write the real first draft. 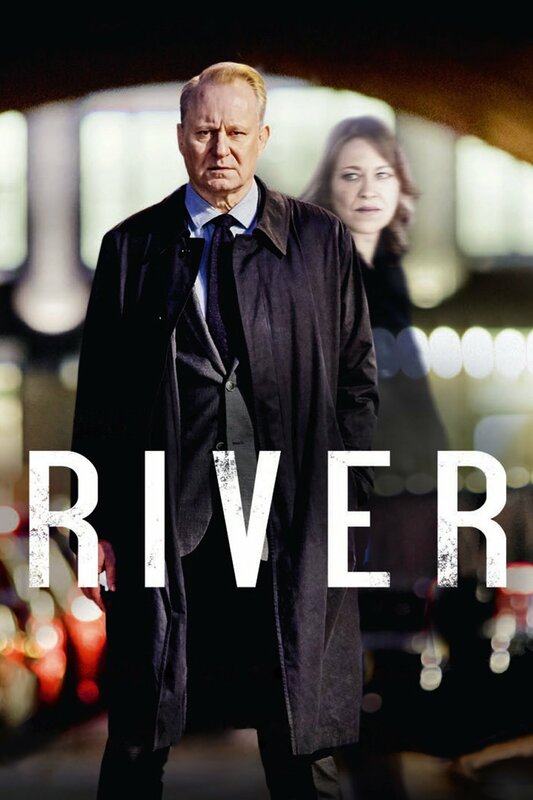 -You create characters, each with their own quirks, histories, fears, goals, and desires–and conflicts, especially conflicts, both external and internal. -You write all the scenes for your book, all of them, around a hundred. You ensure that each scene has a dramatic arc and an emotional arc and that the pacing is right–not too slow, not too rushed. -You make sure your book falls within the standard word count for your genre, aware that agents and publishers are more receptive to first books with word counts that fall into the lower range. You remain calm as you logically deduce that the reason publishers prefer shorter books from first-time authors is so they don’t waste as much money on you in case your book bombs. You rearrange all the scenes in your novel until the narrative makes sense. You add scenes, delete scenes, and completely rewrite scenes. You make sure dialogue for each and every character is distinctive and packs a punch. You craft your story in such a way that it’s not too ambiguous but also not too on the nose because you’re aware readers like figuring out things on their own. While editing your book, you take multiple passes through it, each time focusing on only one or two elements to avoid becoming mired in an overwhelming mass of details that will make you. . .
After you’ve written, revised, and brought out the shine in all elements of your novel, you hand your manuscript over to another person, preferably a critique partner (CP). But first, you must find said CP. This means putting yourself out there on social media, websites, local writers’ groups, workshops, wherever you can find fellow writers/potential CPs who understand your genre and are willing to swap full novel critiques. You must read other people’s works in progress (WIPs) so they will read yours. It’s a fair exchange, and the time is well spent. When critiquing someone else’s work, not only are you helping out another writer, you are learning a LOT about what makes a manuscript work. You send your manuscript out to beta readers. Again, you need to do the legwork first. Interact with fellow book lovers on blogs, Goodreads, wherever readers of your genre dwell in the wild. When your book is ready, summon the courage to ask those people if they’d like to read and provide feedback on your novel. All the while, you read as many published novels as you can, not only because you love to read, but also to gain an understanding of what’s being published in your genre, what the trends are, and to get ideas on what you’d like to strive for and avoid in your own writing. Every time you pick up a novel, you read the acknowledgment page (often it’s the first page you turn to), keeping an eye out for agent shout-outs. You visit promising literary agents’ Twitter accounts and blogs, agency websites, and check out their #MSWL (manuscript wish lists). And you do web searches for their interviews to ensure they’re looking for what you’re writing. You create a free account on querytracker.net to check out what other querying writers are saying about agents you’re interested in. You study agents’ submission guidelines and follow them to a T, fully aware (without letting it freak you out) that literary agents are so inundated they’ll look for any reason to reduce their submission load. This means that every detail of the query letter, email, manuscript format, synopsis, etc. that you send prospective agents must exactly conform to their specifications. You make friends in the writing community who will console you when you’re overwhelmed with how hard it is to write a book, especially when you need to write a synopsis, which means summing up your entire novel up in 1-5 pages. That is really hard. Another thing you’re probably doing—though not specifically required—is daydreaming and getting ideas for your own writing career by following your favorite authors; seeing what they’re up to on their blog and tumblr, Twitter, Instagram, SnapChat, Pinterest,Vine, Goodreads, Facebook, maybe even meeting them at book signings (a thrill every writer and reader should experience). While writing, revising, networking, reading,and researching agents, you also maintain your own blog and social media accounts, hoping that by developing an online presence as an author you’ll look legit to future agents, publishers, and fans. Whew, good luck. Write and publish that book! I am a writer. I daydream. Sometimes I daydream about what it would be like to attend my own book signing or to speak at a conference. (My introvert palms are sweating about that one already.) The obvious question, “What would I wear?” got me browsing through photos of my favorite female Y.A. authors, whose outfits apparently run the gamut from T-shirts and jeans to designer dresses. No help there. Then I noticed something interesting. Big-name male YA authors sport a kind of “author’s uniform.” If you’re a male (or female) author searching for a good public look, here are three options you might want to consider. 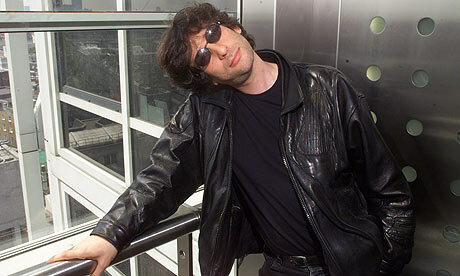 I challenge anyone to find a photo of Neil Gaiman not dressed in black. (Costumes don’t count.) Gaiman’s “author uniform” (which he totally rocks) consists of a black shirt, black blazer, and black pants. Occasionally, Gaiman mixes things up with a black sweater, black trench coat, or black bomber jacket. Are you detecting a theme here? Gaiman prefers clothing that’s dark like his stories, one of my favorites being The Graveyard Book. Imaginative and prolific author Patrick Ness’s go-to author uniform is a polo shirt with zip-up hoodie and jeans. Hey, whatever works, as long as he keeps writing books like The Knife of Never Letting Go. It is worth noting that for gala events, Ness cleans up very nicely. Guys are so lucky to be able to slip on a gorgeous tuxedo and call it a day. Yep, that would be John Green, who meets with the public wearing a tieless dress shirt, blazer and jeans. Which author uniform is your favorite? If you were to attend an event as an author, what would you wear?